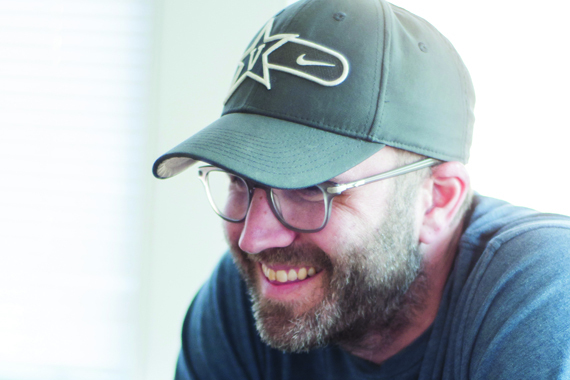 The Inaugural Andrew Marshall Dorff Memorial Benefit Concert will celebrate the amazing songs of Andrew Dorff, an acclaimed songwriter who’s had over 70 songs recorded, with five No. 1 hits. The concert will take place Oct. 2 at 7:30 p.m. at the Franklin Theatre in Franklin, Tennessee. Confirmed to perform are artists and songwriters Hunter Hayes, Jeffrey Steele, Lori McKenna, Levi Hummon, Jonathan Singleton, Frank Ray, Rodney Clawson, Tom Douglas, Mark Irwin, and Tommy Lee James. All proceeds will benefit pediatric oncology initiatives at Monroe Carell Jr. Children’s Hospital at Vanderbilt, the principal beneficiary of The Andrew Marshal Dorff Memorial Fund. “The evening will feature acoustic performances by some of Andrew’s most beloved friends and co-writers. Andrew had a gentle and open heart, and all funds raised will benefit a cause that was very dear to him. My family and I appreciate the support of the Nashville music community in coming together for a wonderful event to honor Andrew’s memory and to raise money for a special purpose in his name,” says Andrew’s father and fellow hit songwriter Steve Dorff. Ticket purchases will help advance Children’s Hospital’s ongoing mission of compassionate patient care, discovery research and clinical training. Those unable to attend the event can make direct donations to the Andrew Marshall Dorff Memorial Fund here, which will also benefit Children’s Hospital. Contributions from the fund will play a key role in enabling more of our community’s young people to find expert, specialty cancer care. Tickets are available at franklintheatre.com.